Rather late in the piece because my head is buzzing so this will be a quickie! Just waiting for my breakout to start the morning after the night before! And what a night it was. 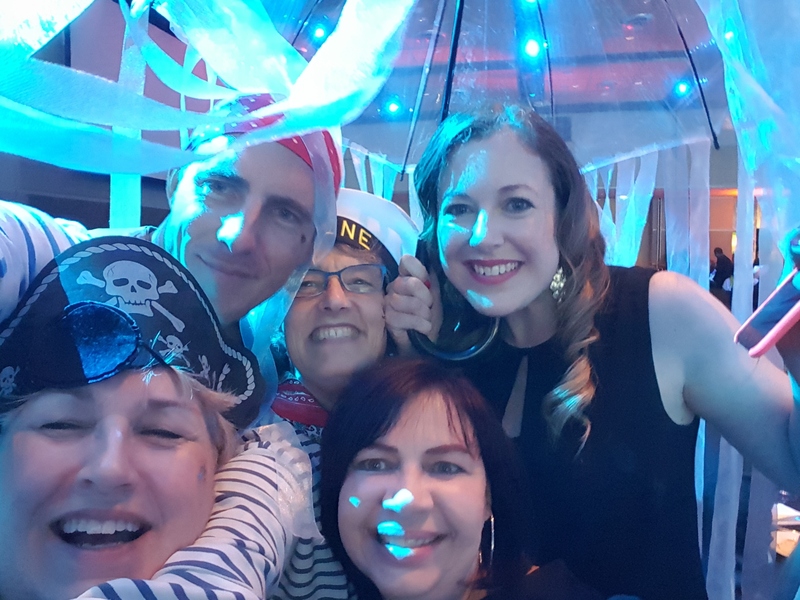 Ulearn15 put on the razzlemadazzle once again out on the high seas with cutlass wielding pirates, rum tipsy sailors, shimmering, glimmering jellyfish, the “undead” of the Titanic and the crowd favourite “out of the box” thinking Pavarotti. He got my vote and the Twitterati vote – almost trending for the evening! But this post isn’t about the Gala Dinner. One of the challenges was to find two blogger I admire, take a selfie with them and then write a blog. 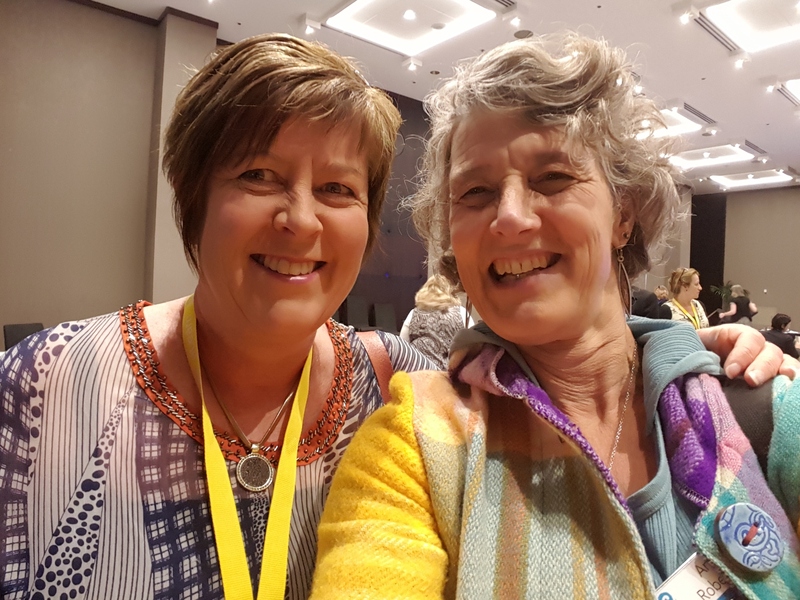 The first blogger I met as I entered Sky City on Tuesday morning was the MAGICAL Anne Kenneally who amazes me with her passion and excitement. This comes through in her tweets, her FB posts and her blogs. I didn’t buy her a coffee but I did get her safely to the Twitter Dinner! My other inspiring blogger is actually one of a special groups of people: my fellow #efellows14. Marnel Van der Spuy is such a passionate teacher. Her sheer joy of teaching and learning is infectious and inspiring. Have a read of their blogs, and connect with them on twitter @annekenn @1mvds. Be inspired! I just got back from an inspirational day of learning, collaborating, connecting, talking, sharing and all-round enjoyment. The #edchatnz conference, thoughtfully and inspirationally crafted in just 12 weeks by 7 passionate NZ educators. They were supported by over 350 equally passionate educators who all meet via Twitter each Thursday evening to chat about teaching and learning. 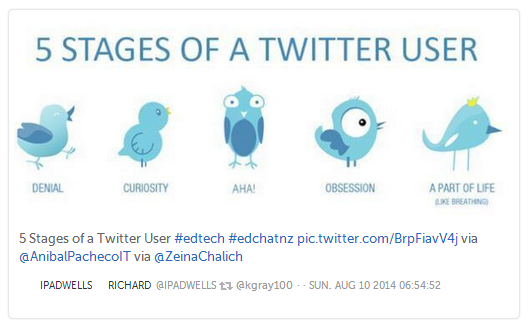 The #edchatnz conference demonstrates the power and potential of social media to bring people together. 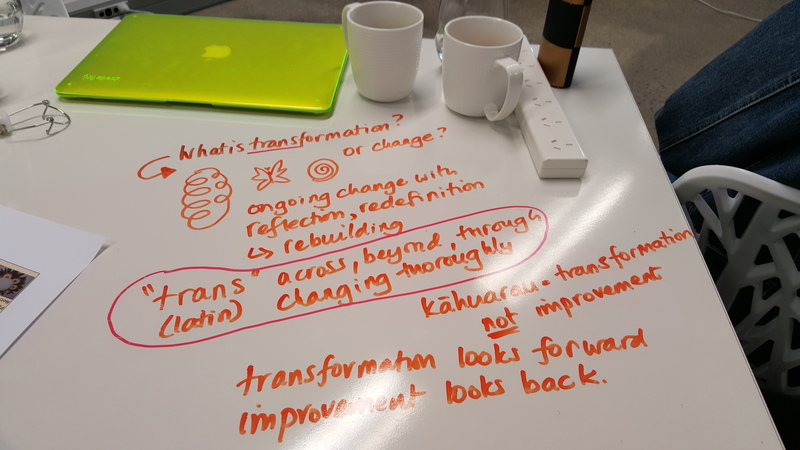 The #edchatnz twitter chats already represent one of the best PLNs for NZ educators but developing it into a Face to Face opportunity brings the essential human element to our PLN. We know that relationships are key to building trust, mutual respect and connections that lead to much more effective learning both for our students and for us as adult learners. However, conferences don’t just happen. The seed of an idea is planted, a dream is vocalised, a crazy “what if..” is encouraged and supported by passion and “we can…”. It needs a group of people who, together, can make crazy ideas come to fruition. It was an idea who’s time has come, teacher (tweechers) are ready for it, we are ready to take control of our own learning and the momentum is growing. @MissDtheTeacher and her team have started the ball rolling, they have proved that if you dare to dream big then you can make things happen and people respond to your passion. View my Storify of the Tweets of the #edchatnz conference from Saturday onwards – there were just too many to deal with over the full tow days and since I was only lucky enough to attend on Saturday I will leave Friday to someone else to Storify!